Ian White is the founder of Australian Bush Flower Essences and has been a pioneer in researching the rare remedial qualities that the Australian Bush has to offer. The history of Flower Essences can be traced back many thousands of years with many cultures using Flower Essences to treat emotional health and wellbeing, and we are once again beginning to understand that emotional wellbeing is a major component of good health in a whole person. 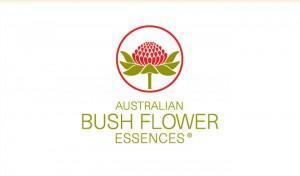 The unique formulations of essence drops, mists, creams and skin care have been blended using Australian Bush Flower Essences and these essences are imbibed with the rare remedial qualities of the Australian Bush. They are ecologically gathered in unpolluted and naturally occurring regions of the vast Australian landscape. Australian Bush Flower Essences are catalysts to unlocking your full potential, resolving negative beliefs and creating emotional health and wellbeing. Using the healing properties of flowers essences is an ancient art, spanning many cultures. Flower essences are safe for the whole family and can even be used on pets. Not only do they bring clarity to the conscious mind and develop many intuitive abilities, but they also recognise negative beliefs and directly affect us at the level where we make decisions about our emotions, health, vitality and relationships. Australian Bush Flower Essences are a vibrational therapy – they are pure and natural, and may be used to complement your Bowen Therapy treatment, encouraging emotional wellbeing and good health. Karen Alexander, Bowen Therapist, will tailor the essence to suit your individual need.